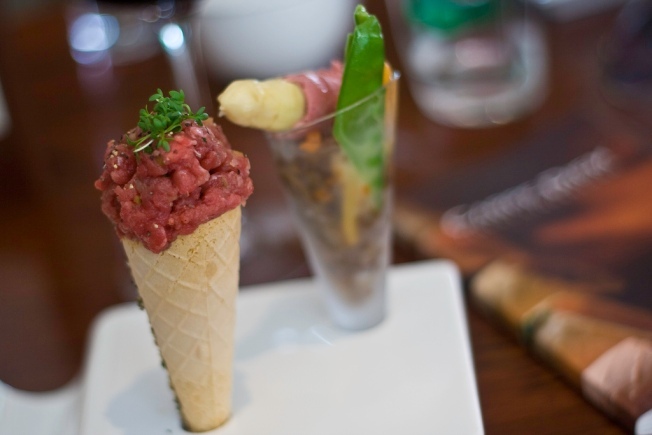 Beef ice cream cones could be yours to try at next week's MoMa event. MoMA is holding a crazy food event called the "Futurist Food Banquet" wherein OPENrestaurant will revisit F. T. Marinetti's "Futurist Cookbook" from 1932. The best part is that they are promising beef ice-cream cones, avocado cocktails, and flying panforte. "Guests attending this clamorous banquet can expect to exalt in sounds, smells, and constant motion," the museum says. The food and art will be served at 8 p.m. at the Evelyn and Walter Haas Jr. Atrium on Saturday Oct. 17.